When we had children a few years ago, we needed to decide what holiday traditions we wanted to start in our family. Everything from gifts, to trees, to food, the goal was to make family memories. 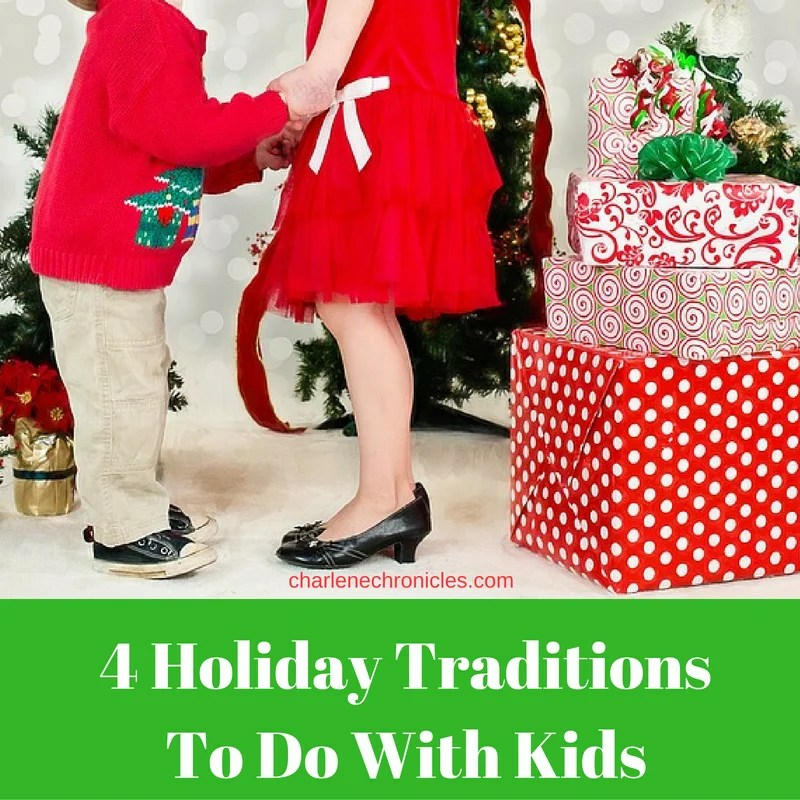 So, here are our four holiday traditions to do with kids – that we have found to capture the spirit of the season. One of the traditions we implemented is one that carries over from when I was a child. The kids give each other their gifts. My daughter gives my son the gift she picked for him and vice versa. It enables them to pick out a present for the other, think about what the other sibling likes, and what they want to give. Then the tradition of opening one present on Christmas Eve. Another tradition we have is baking homemade sugar cookies on Christmas Eve Day. It makes the house smell amazing as we play Christmas music. The cookies are for Santa when he comes that night. Though we enjoy nibbling as we make them! We also have an ornament tradition. The day after Thanksgiving, we head to a local store. The kids each pick out one ornament for the tree. It is a fun way to let them pick out something. It is interesting to see their interests (and how they change) each year. For example, my daughter picked an Elsa ornament last year, but this year, it was a superhero! We also have another tradition on giving. During Thanksgiving vacation, they go through their toys and select the toys they don’t play with and are in good condition. Then we donate them to local charities. It is a way to go through what they have, appreciate what they have, and pass along gifts to those who have not. We also make sure to include some new toys too! What traditions do you have for the holidays? Maybe one of them will be added to our traditions in future years!